Today Apple released macOS High Sierra 10.13.2, the second major point update to macOS High Sierra. 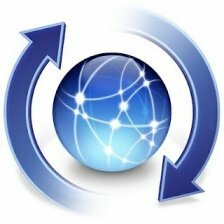 Update any supported system using the built-in Software Update functionality through the Mac App Store, or by using the standalone installer available from Apple.com. NVIDIA Alternate Graphics Drivers have been updated for macOS High Sierra 10.13.2. If you use Lilu.kext, update it to v1.2.1 before reboot. - If you're using nVidia drivers for your GeForce GTX 750, 750Ti, 960, 970, 980, 980 Ti, Titans 'Maxwell' and GTX 10x0 "Pascal" graphics cards, you'll need to install the nVidia 10.13.2 Web driver(s) after the 10.13.2 update; when the drivers are updated, the link will be available in Post #1. - For those who are using the MacPro6,1, iMac15,1, or iMac17,1 system definitions may need to re-apply the black screen fix. The updates to the Lilu.kext, WhateverGreen.kext and NvidiaGraphicsFixup.kext are in the Downloads > Kexts area. - NOTE: This update is installed differently than point updates of the past. After reboot, on Clover Boot screen you may have to choose the Install macOS from YOUR-DRIVE-NAME in order to complete the update. - The update does not convert a HFS+ formatted drive to an APFS. Download the High Sierra 10.13.2 Updater or Combo Update in Post #1 or use the Mac App Store. Download the latest Nvidia web driver for 10.13.2 (when available). Had to update to latest Lilu.kext and AppleALC.kext. After that update went through and updated without issues. For the first time since HS install and 10.13.1 update, the installation of 10.13.2 went smoothly and very quickly. No stall in the middle of nowhere. Updated Lilu, AppleALC, and NvidiaGraphicsFixup kexts. Changed Nvidia drivers code to "17C88" using the patch provided in the other update thread. Installed the update via App Store and went without a hitch. Caution: Lilu must be updated to 1.2.1 or more. 1.2.0 causes kernel panic. Confirmed ! had to update Lilu. Without that restart loop KP. Thanks, for the information about Lilu kext needing to be updated. It works now.